One of the most in-demand looks for Halloween 2018? The skull. Classic but always contemporary, there are many ways to wear this trending makeup look. 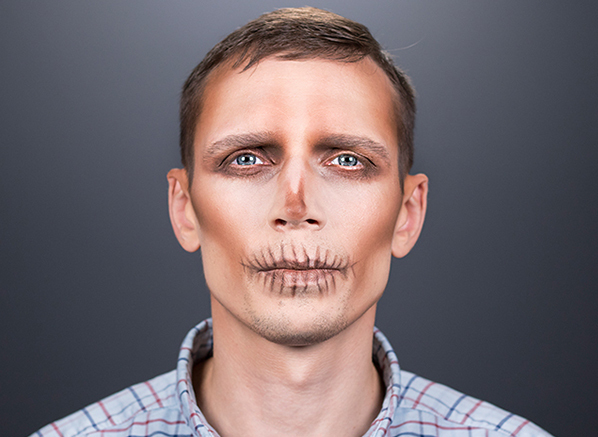 As much as we love the chicness of monochrome, for this skull makeup tutorial we’ve chosen to shake things up, ditching the white and black paints to create something that’s easy, unique and completely Instagramable. We say it over and over again, but prepping your base is the one the most important steps for a long-lasting makeup look. The MAKE UP FOR EVER Step 1 Skin Equalizer Smoothing Primer is the perfect starting point. Its soft texture glides over skin, refining your canvas and smoothing over any dry patches for a silky, soft finish that’s ready for makeup application. Multipurpose and perfect to use even after October 31st, the Urban Decay Naked Skin Shapeshifter Palette is the main product you’ll need for this Halloween look from start to finish. First, you need to apply the Colour Correcting Cream all over the centre of your face, focusing on the eyes to help improve the vibrancy of the tones you’re about to use, whilst locking in your look for longer. 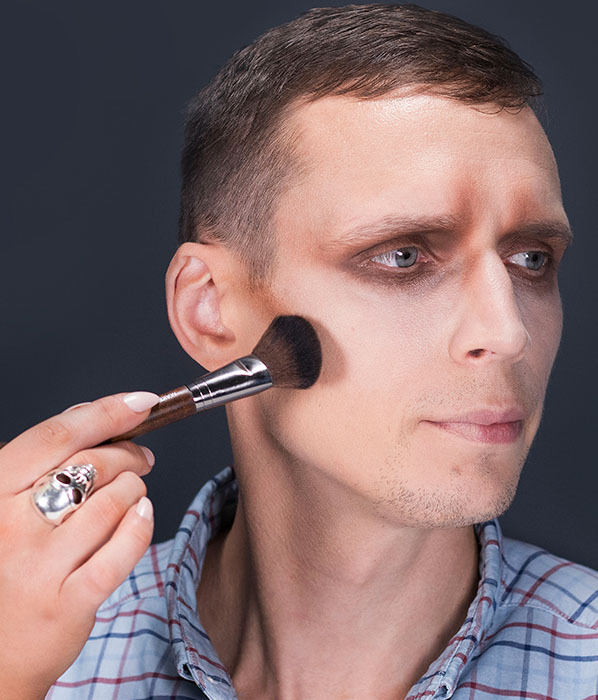 Next, you’ll need to start defining the hollows of the eye socket with the Medium Contour powder shade from the Naked Skin Shapeshifter Palette using a fluffy brush. Our favourite is the MAKE UP FOR EVER Highlighter Brush – Small – 140! Feather this dusty shade through the top of eyebrows in upwards strokes towards the temples to create a skeletal eye socket. 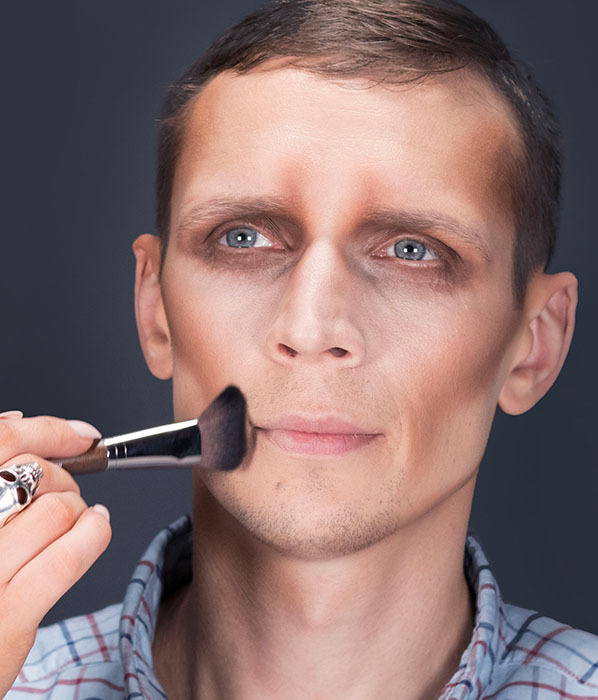 Next, go in with the Dark Contour powder shade from your palette, shading the hollows and shapes you’ve just created. Take this colour down under the lash line to create a deep eye contour. Remember, the messier the better! Now comes the fun part! 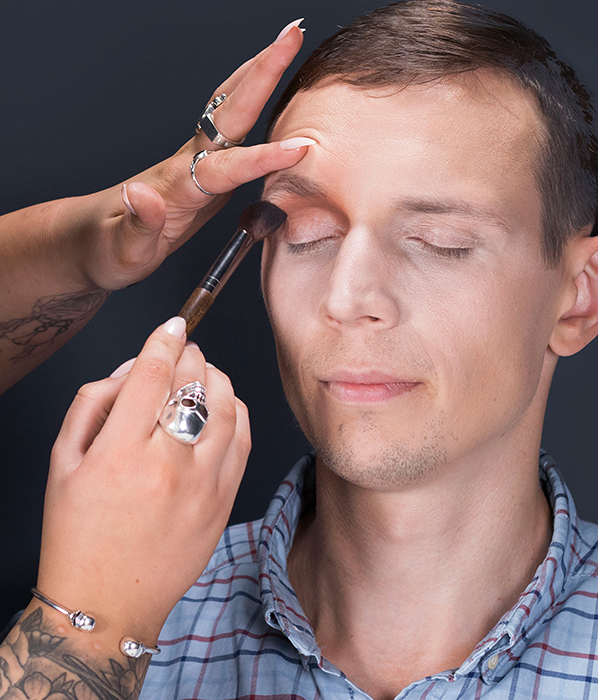 Still using your Shapeshifter Palette, use the Dark Cream contour from the kit to carve out your cheekbones, making sure there are no harsh lines. Blend this contour colour into your jawline and temples to define the structured shape of a skeleton. You can use your fingers or go in with an angled, fluffy brush just like the MAKE UP FOR EVER Precision Blush Brush – 150. 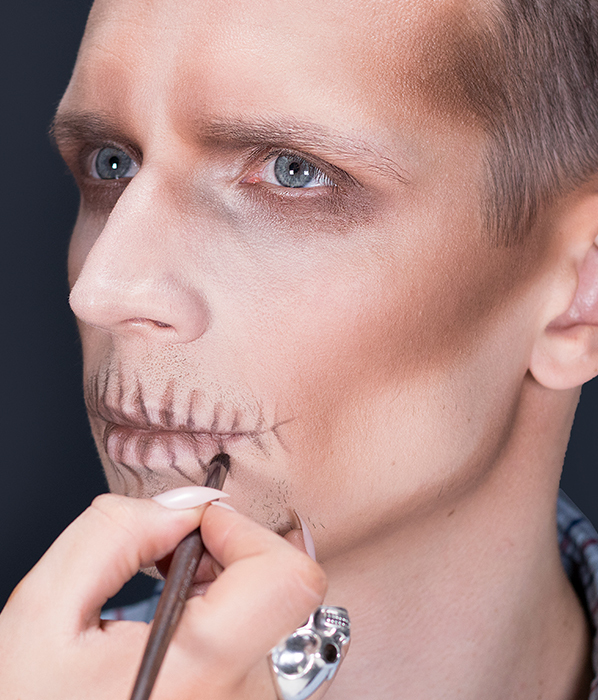 Application tip: Hold your brush to top of your ear diagonally to find your perfect skeleton cheekbone structure! Time for some more sculpting! Start by marking out the prominent bones around the face (cheekbones, jawline and temples) with the Dark Cream contour. When you’re happy, go in with a tapered brush in upwards buffing motions, blend, blend, blend! Application tip: Made a mistake? Don’t panic, the Colour Corrector shade from your palette is perfect for making amends. All you need to do is pat and lightly blend to erase any mishaps! Next, you’ll need to prime your lips. To get the best base for drawing on the shape of teeth, cover your lips with the Colour Corrector shade and blend outwards. This part looks more tricky than it is! This is where you start to define the teeth with a thin pencil. Here we used Benefit Goof Proof Brow Pencil in 03 Medium, as its tawny colour and powdery finish allows you to create natural looking definition. 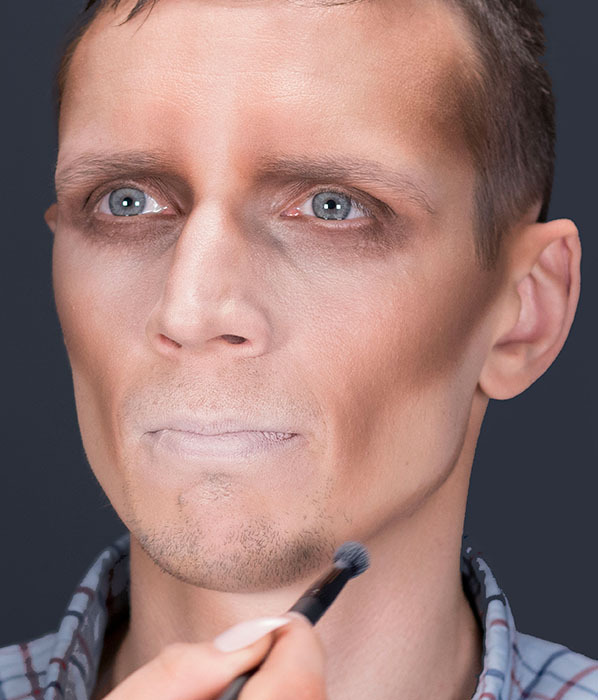 To add depth and dimension, it’s time to go back to the Dark Powder contour and start shading. This is what creates the 3D finish that looks exceptionally good on camera! Then apply this colour to all of the hollows that you’ve created, even around the temples and jawline. Use the same shade to draw on the bones of the nose for an extra finishing touch. Brush the colour onto the tip and shade upwards along the bridge – then voila, you’re Instagram ready! As good as your creation may look, you’ll have to take it off eventually. Start by cleansing your eyes and lips with the La Roche-Posay Respectissime Waterproof Eye Make-Up Remover. Without rubbing or tugging, its bi-phase formula lifts away stubborn makeup in a flash. Next, saturate a cotton pad in Bioderma Sensibio H2O and wipe all over your skin. Your complexion will instantly feel fresh and clean again. Are you feeling inspired? 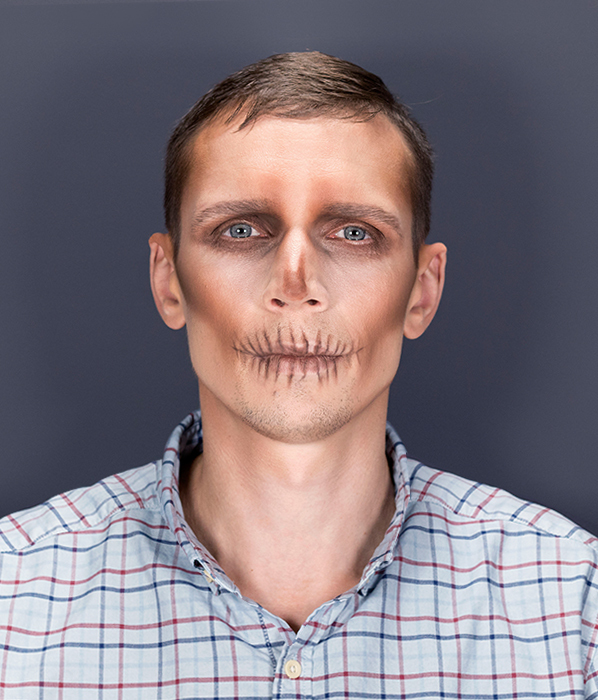 Choose to create a half skull, a sugar skull or even add a touch of neon to your look; we’d love to see what you create! Don’t forget to share your looks with us over on Twitter, Instagram and Facebook using #HauntCouture! 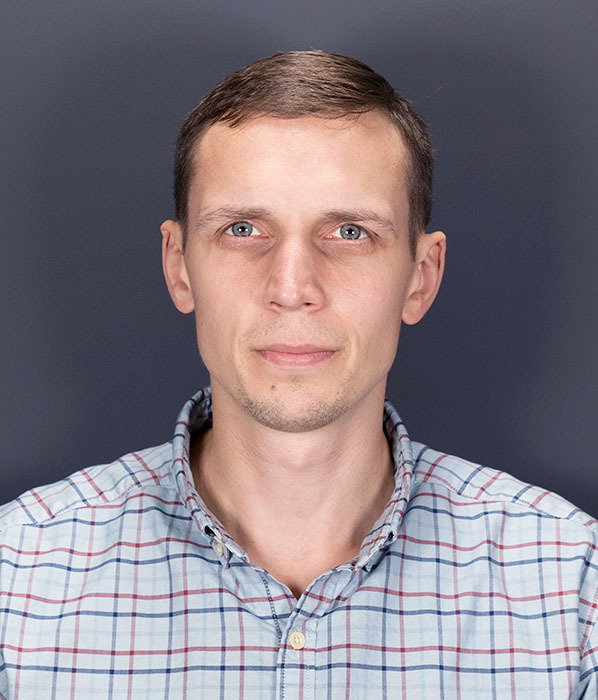 This entry was posted on Monday, October 22nd, 2018 at 9:43 am and is filed under Get the Look, Halloween, Hints & Tips, Make-up, Men, Trends, Tried & Tested. You can follow any responses to this entry through the RSS 2.0 feed. You can skip to the end and leave a response. Pinging is currently not allowed.